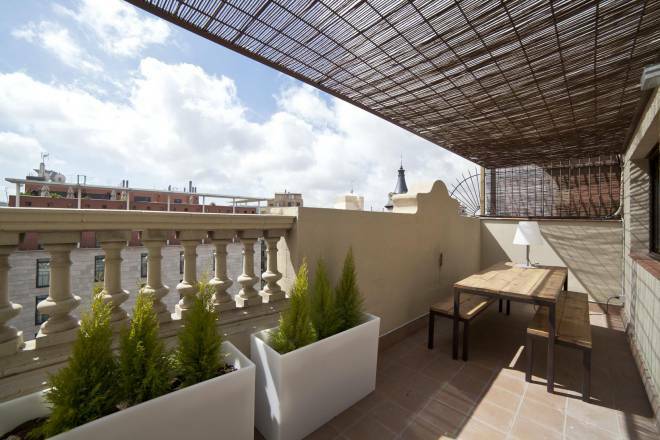 Brandnew luxury apartment tastefully renovated located in the heart of Barcelona, in the famous Eixample. 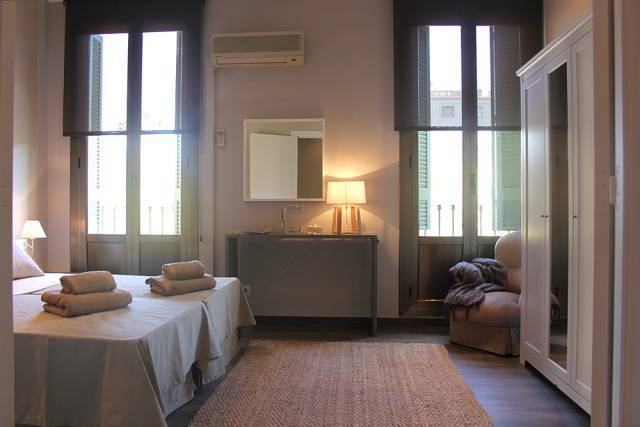 The apartment is fully equipped and ideal for a comfortable stay in Barcelona for up to 10 people. It counts with: 5 double bedrooms, two of them are real spacious with closet and own TV, a nice and sunlighted living room, a bright dining room with a big table, 3 bathrooms, 2 of them huge and a fully equipped kitchen with everything you will need and even more. The maximum capacity is up to 10 people. 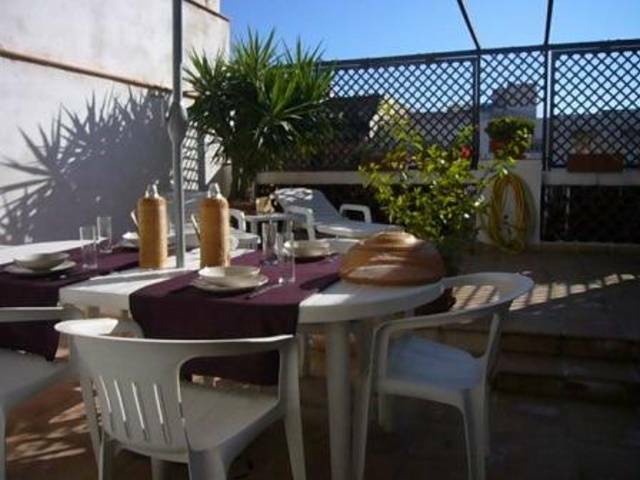 Due to its size of 250m2 and the distribution you will feel very comfortable and with lots of space for everyone. 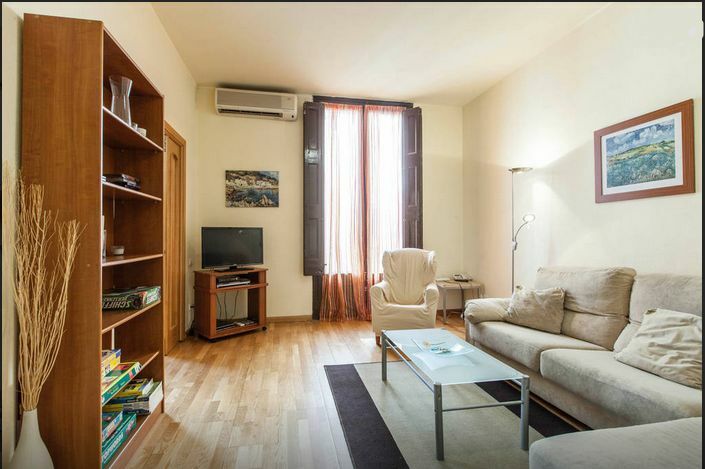 Fully equipped Barcelona Apartment, 106m2 with 3 double bedrooms, bathroom, living room and balcony in a privileged location (pedestrian street) adjacent to Plaza Real and Ramblas. Equipment:SAT-TV, DVD + CD, WLAN Internet Access,washing machine, tumble dryer, microwave, central heating, air conditioning and elevator and dorman. 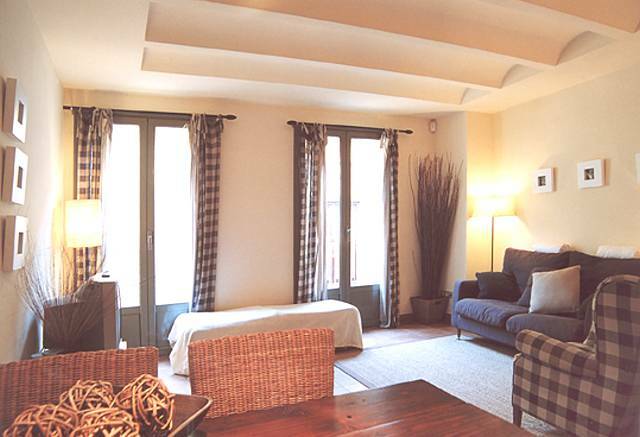 Nice and bright 2 bedrooms apartment in Gracia, at the end of the beautiful Paseo de Gracia with two of Gaudi's most famous buildings. 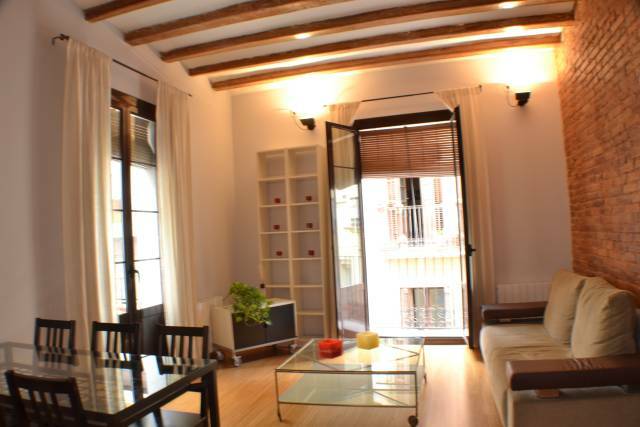 This fantastic and uniquely renovated apartment is a great choice for your visit to Barcelona. 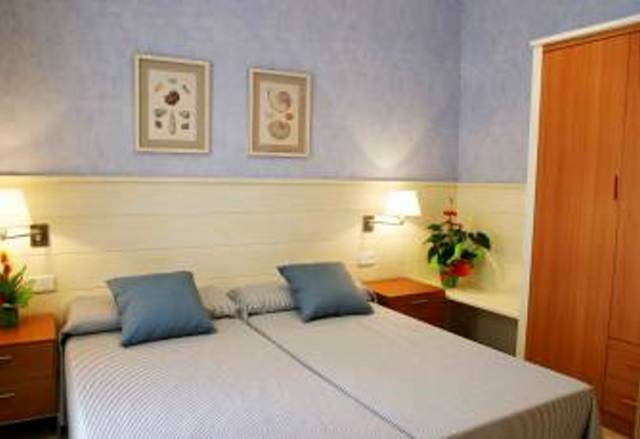 The apartment has been very tastefully decorated in a rustic and elegant style, ensuring the comfort of the guest while at the same time creating a welcoming atmosphere. A holiday stay in this exclusive accommodation is one not to be missed. The Fuster apartment is situated in the heart of the city at the top end of Paseo de Gracia with its 2 emblematic Gaudí buildings, in Gracia which is the trendy and upbeat part of Barcelona. 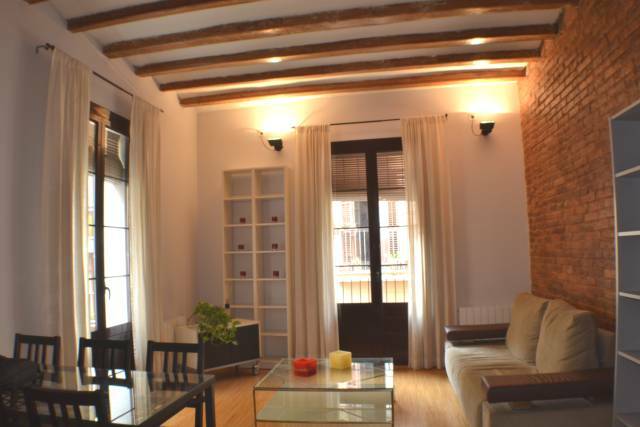 Walking distance to Plaza Catalunya and Ramblas. Very well connected with public transport. The apartment has two bedrooms and one bathroom. The master bedroom has a double bed and comes with wardrobe and a dressing room. The other bedroom has a bunk bed in adult size (2 meters long). Both of these bedrooms have lots of natural light as they are exterior facing and have large, floor to ceiling French windows. 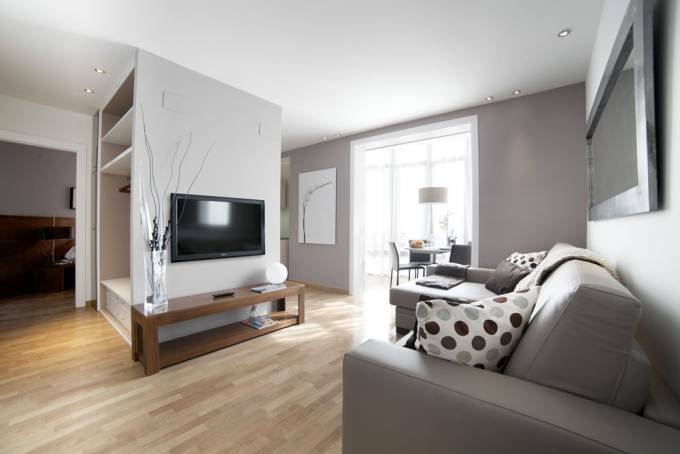 Most of the apartment comes with hard wood floor which adds to the warmth and welcoming feel throughout. The living room is quite spectacular, with exposed brick in one of the walls, the typical exposed wooden beams and several door-windows facing the street. The comfortable sofa and the decoration make it a truly lovely place to sit back and relax before heading out for a meal in one of Barcelona's excellent restaurants, or to recover from a day of sightseeing or shopping. The open kitchen comes fully equipped and a bar for a quick breakfast. There is also a dining table for 6 people. 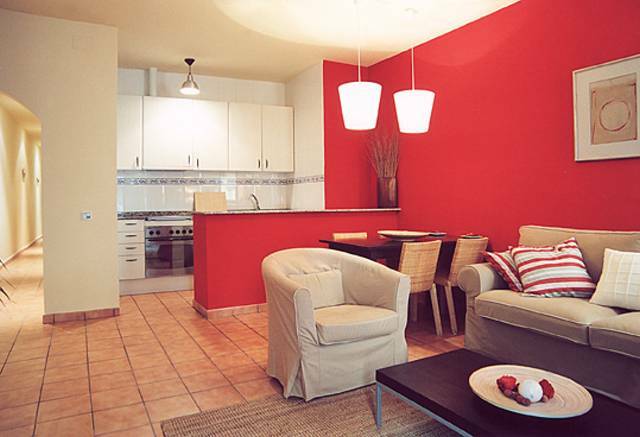 The kitchen comes with all the basic modern appliances in order to make your visit to Barcelona a hassle free one. Equipment: TV, DVD + CD, WIFI Internet washing machine, dish washer, microwave, coffee machine, central heating, espresso machine. Location: unbeatable, walking distance to Plaza Catalunya and Ramblas a stone throw from Barcelona's best and nicest shopping streets. Gracia is at hand with all its restaurants and shops. The apartment is on the 2nd floor without elevator. 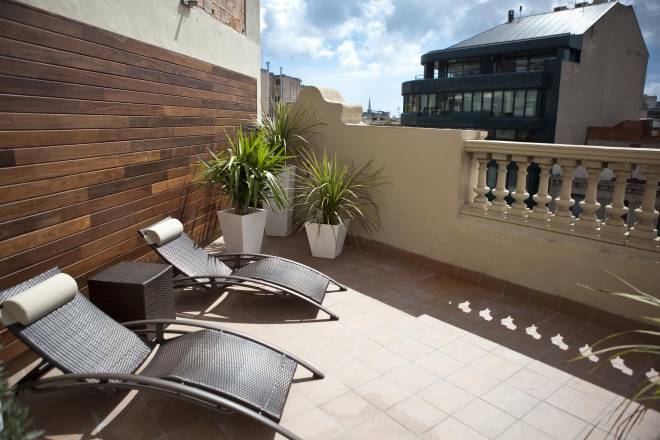 Brandnew apartment tastefully renovated located in the heart of Barcelona, in the Eixample. 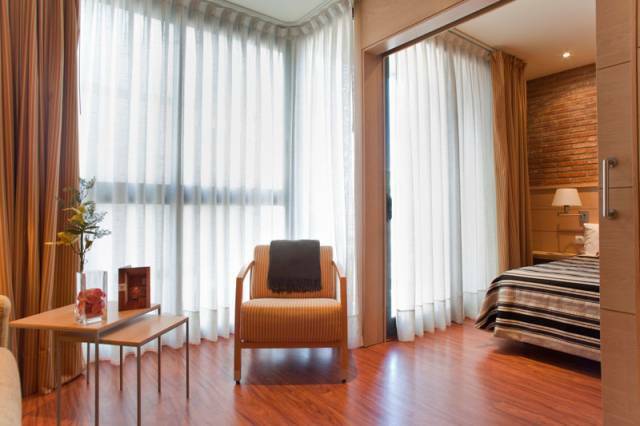 The apartment is fully equipped and ideal for a comfortable stay in Barcelona. 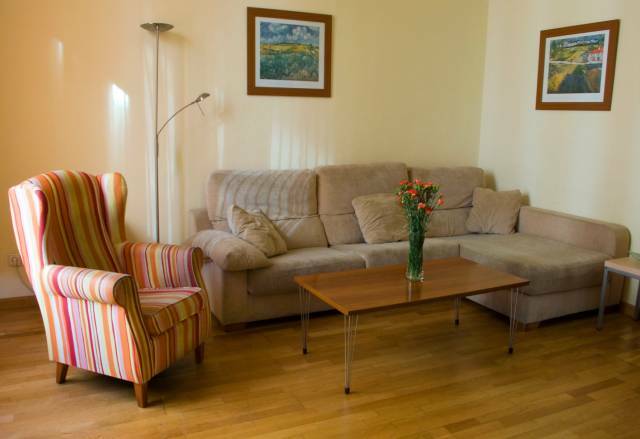 It has one double bedroom, one triple and 2 comfortable single sofabeds in the living room. The maximum capacity is up to 7 people. A fully equipped and very nice kitchen and a comfortable modern bathroom makes it more than complete. 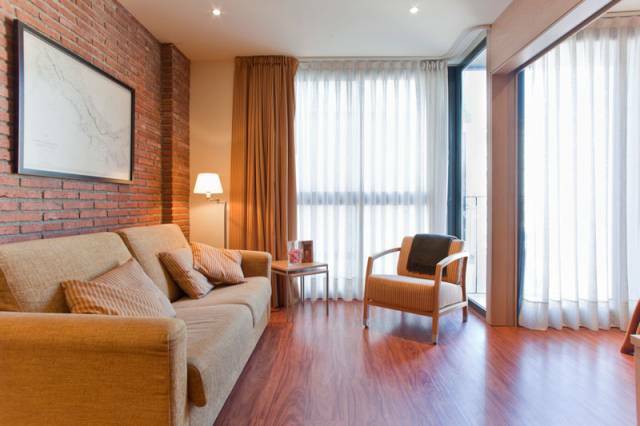 Location: Gran Via, an area which is quiet and very well connected to the centre of Barcelona, walking distance to Ramblas, Plaza Cataluña, Paseo de Gracia with the Gaudi buildings. Perfect for sightseeing, shopping, restaurants or nightlife. Fantastic Designer Penthouse for up to 8 people with a huge terrrace and breathtaking views. 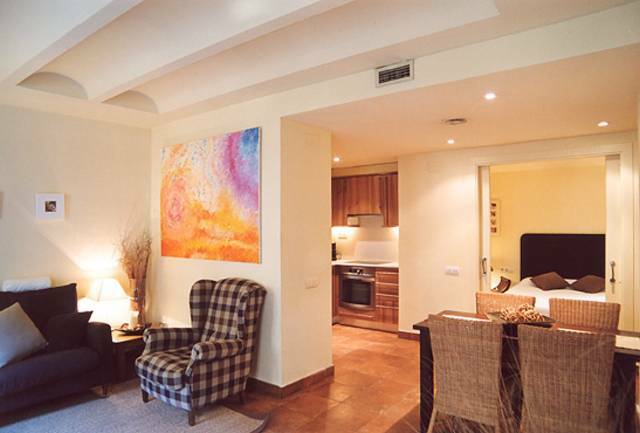 Only a stone throw from Plaza Catalunya in one of the best areas of Barcelona. 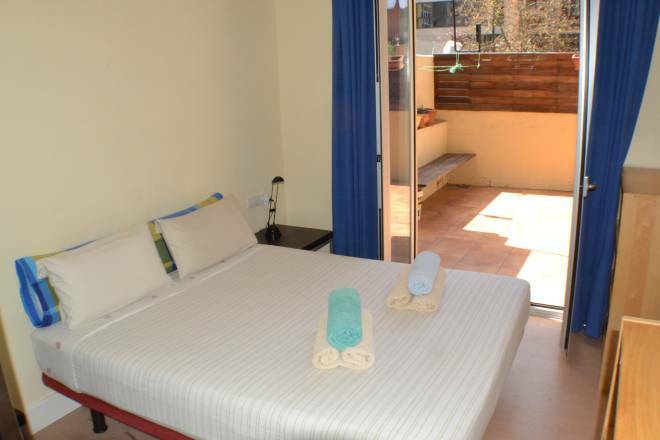 The apartment is fully equipped and offer everything for your comfortable stay. Beautiful and unique Penthouse Apartment on the top floor of a typical modernist style building in the very heart of Barcelona with a big private 30m2 terrace. The apartment counts with one double bedroom with access to the terrace, one bright and big living room with chimney and sliding doors to the terrace, a dining room, fully equipped kitchen, bathroom and the terrace. The apartment is absolutely quiet. Equipment: Elevator, Wood floors, big terrace with furniture, Central heating, TV, Stereo, DVD, Internet, Air conditioning, heating, hair dryer, etc. Beds and linen: Double beds: 1, Double sofa bed: 1, single bed: 1, bed linen, Towels. Kitchen: Microwave, Coffee maker, Toaster, Oven, juice maker, Kettle, Pots and pans, Napkins, Olive Oil, Salt, Sugar, Tea, detergent, etc. Others: Washing machine, Iron, Baby cot/crib free & high chair (if required). Location: One walking minute to Paseo de Gracia with its famous Gaudi Buildings and Plaza Catalunya; Metro Station L3 Paseo de Gracia. 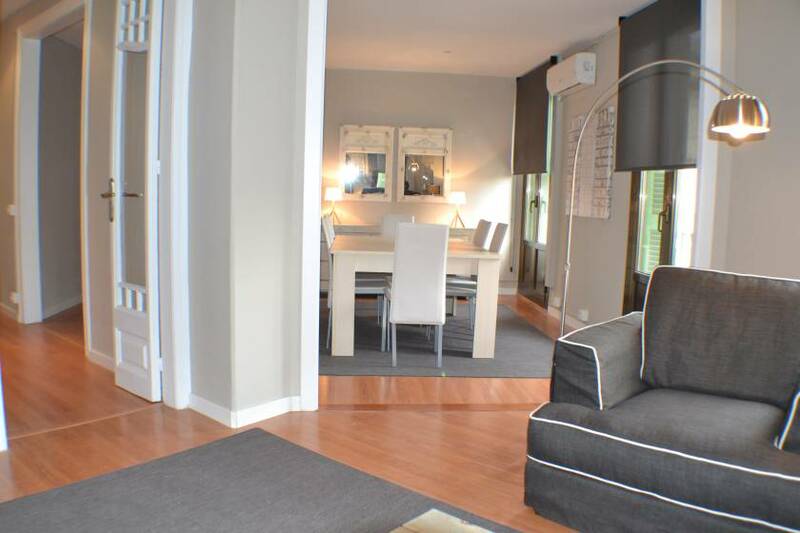 Fully equipped and brand new renovated Barcelona Apartment with 90m2 with 2 double bedrooms, bathroom, living room with a double sofa bed fully equipped modern kitchen and a gallery with nice views in a privileged location adjacent to Plaza Catalunya and Ramblas. Equipment:SAT-TV, WLAN Internet Access, washing machine, tumble dryer, microwave, central heating, air conditioning and elevator. 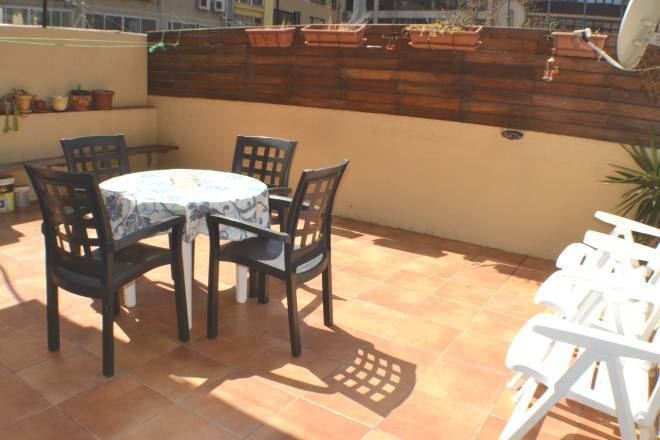 Location: walking distance to Plaza Catalunya and almost everything. 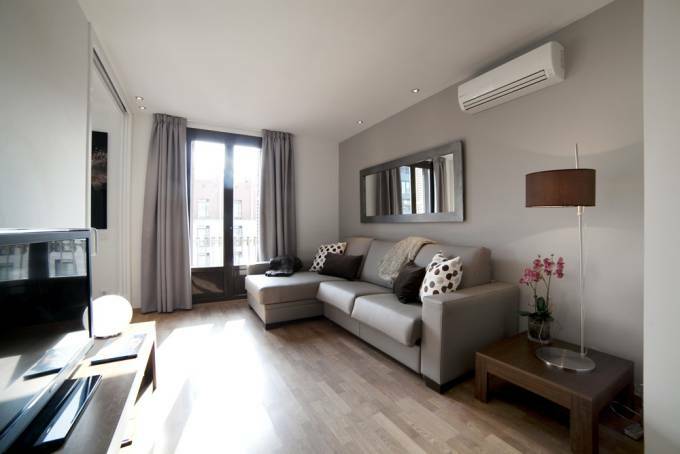 Brand new fantastic 3 bedroom apartment in the very heart of the city: a stone throw from Plaza Catalunya and Ramblas. The apartment counts with 3 double bedrooms (one with comfortable adult bunk beds) and a double sofa bed in the living room. 2 bathrooms and a fully equipped kitchen ensures a comfortable stay for up to 8 people. 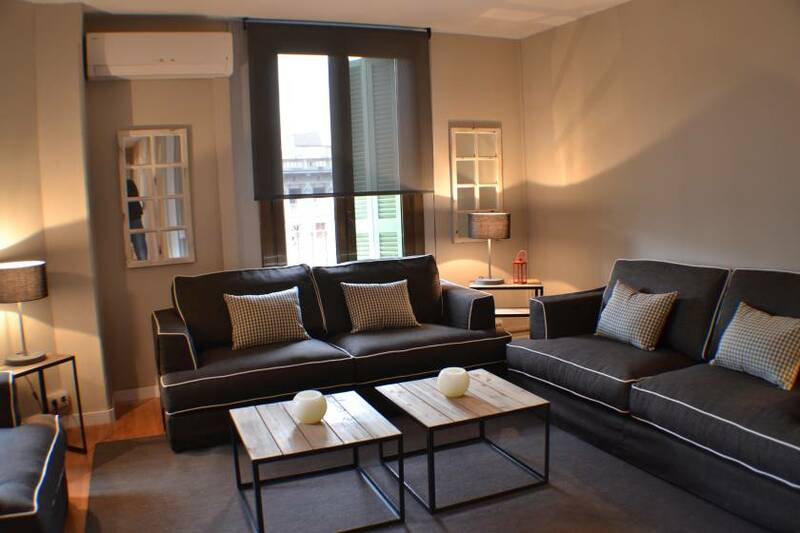 Fully equipped and brand new renovated Barcelona Apartment with 110m2 with 3 double bedrooms, bathroom, living room with a double sofa bed fully equipped modern kitchen and a gallery with nice views in a privileged location adjacent to Plaza Catalunya and Ramblas. 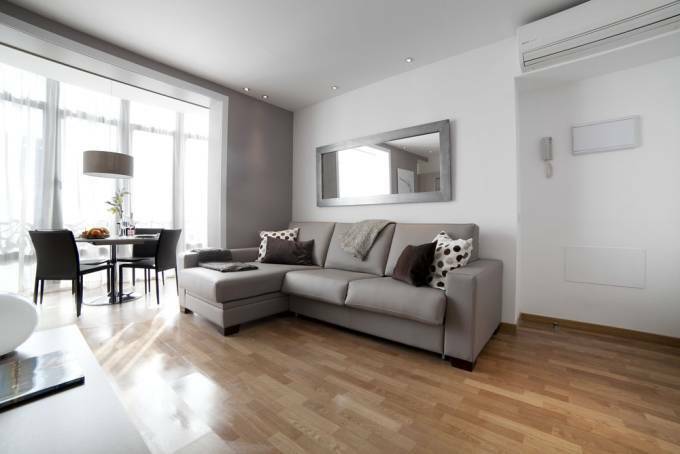 One of 10 excellent and brand new apartments with its personal style in a typical Barcelona building of the Eixample. 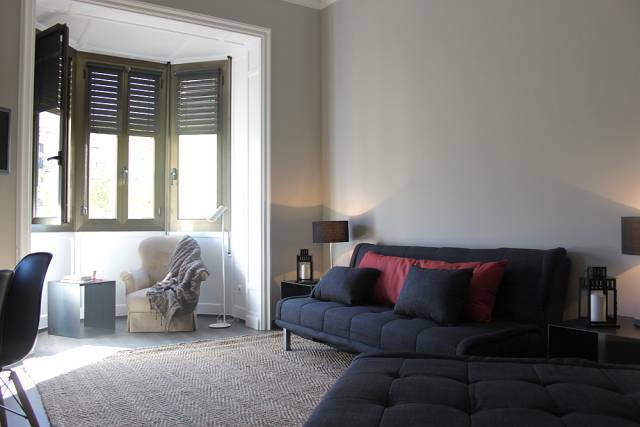 A complete restoration with top quality materials makes it the ideal place to feel at home in Barcelona, both for business, with your family or friends. 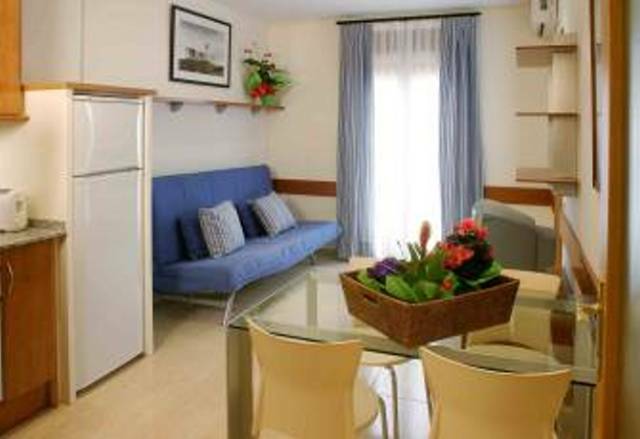 The apartment counts with 2 bedrooms, a living room with a double sofa bed, dining area, fully equipped kitchen, a nice bathroom. The building has an elevator. 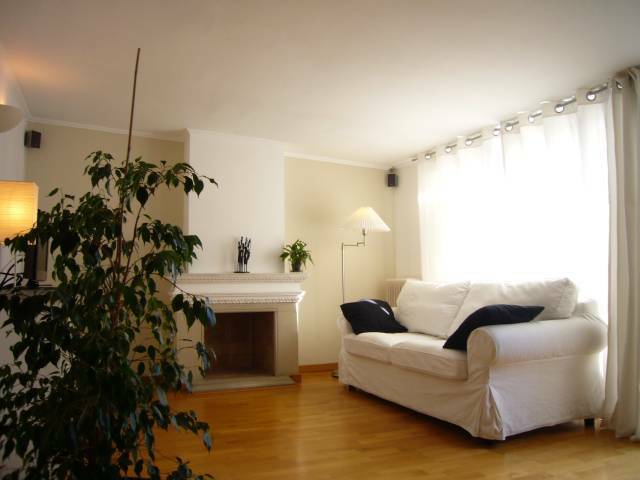 Location: quiet in a residential area only 15 walking minutes from Plaza Catalunya and Ramblas, close to the Arc de Triumph and the nice park Ciutadela. Also the beaches are within walking distance. Good public transport connections. This barcelona apartment is in a renovated building which conserves the historic façade of the zone. It has a surface of 50 m2. It´s on the first floor with double balcony outside. Calm and luminous place. 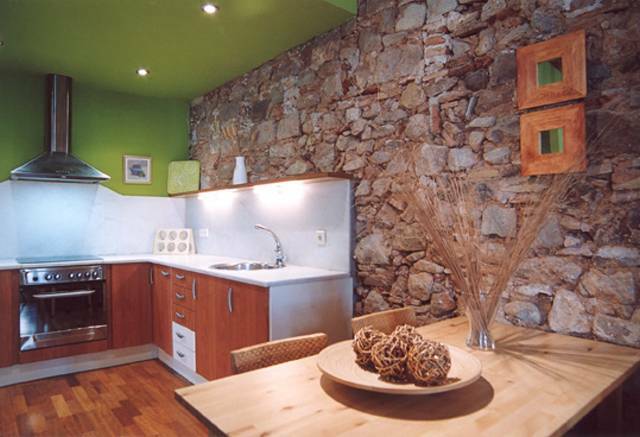 It´s a design apartment: restored wood-ceiling, originally stone walls, parquet floor and design kitchen. This barcelona apartment is located in a renovated small palace of the 14th century which conserves the historic façade of the zone. It has a surface of 50 m2. It´s on the first floor with double balcony outside. Calm and luminous place. It´s a design apartment: restored wood-ceiling, originally stone walls, parquet floor and design kitchen. 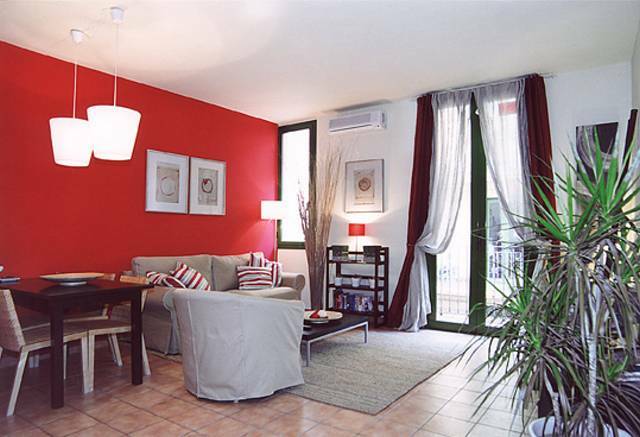 Apartments redecorated in January 2005, in a lively, modern style. 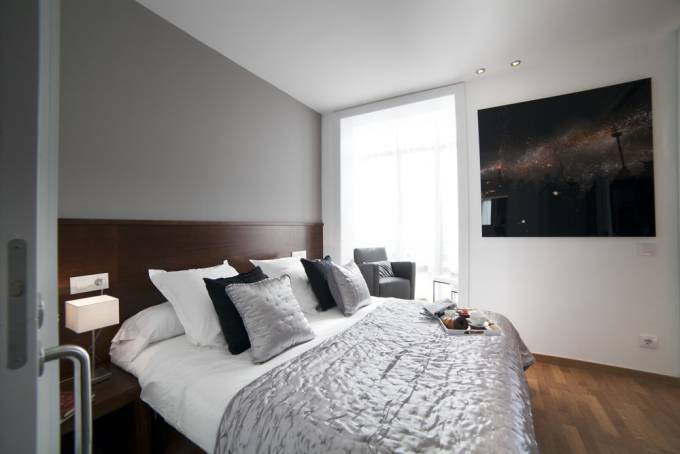 It has a double bedroom that gives onto the street with spacious wardrobes, and a single bedroom. The bathroom and kitchen are fully equipped. It also has a nice living-dining room with a sofa bed.